You’re here because you want to increase your strength and stretch out the arms and chest of your summer t-shirts with some mass building. This workout schedule is designed to add maximum bulk in just 6-8 weeks. It pushes every muscle to the limit and uses cutting-edge scientific approaches to muscle gains. It’s a no-hold-barred, intense introduction to muscle growth – even for a beginner. In this detailed guide we take you through every step of the mass building process. This is your number one place to really push the boundaries and etch out a physique like you’ve never achieved before. This 12-week workout is designed with one goal in mind. Building mounds of strong, lean mass doesn’t happen overnight. And that’s why we’ve given you a time-frame of 3-months to make some real differences to the muscle that’ll stick to your frame like a badge of honor. This is a beginner’s plan to get jacked. It’s a surefire program for improving lean muscle. It doesn’t matter if you consider yourself to be super lean but with a real lack of muscle; or you’re overweight and want to shift the fluff and carve out a lean physique. With the right tools and a bit of motivation you’ll be able to break down your barriers, start your strength training journey and achieve all of your goals. When it comes to building lean mass, there are a few golden rules to follow. These need to form your lifting bible as they guarantee you’ll hit your targets. By incorporating these rules into your lifestyle you just can’t fail. One of the hallmarks of a strong, lean lifter is their relationship with the gym. Right from day one, you need to fit your workouts into your lifestyle. It can take time for sure, but what we’re after is for you to achieve regular and frequent workouts in the early stages of your program. If you fall into the trap of skipping sessions or having an ‘I’ll go tomorrow’ attitude, you’ll soon find that your gym membership collects dust and your gains are non-existent. Building positive habits is half the battle when it comes to crafting a better body. Set a weekly schedule and treat your gym workouts like appointments. After the first few weeks, you’ll find that the gym just becomes part of what you do. You’ll no longer even think about skipping sessions. Because the gym is just part of what you do. Focusing your attention on just a small number of core lifts will make all the difference when it comes to optimal growth. Forget what the pro’s do, and forget what your buddy Chad at the gym says – variety is important as you progress, but as a beginner, simplicity is key. Sticking to presses, pulls, squats and deadlifts are guaranteed to trigger muscle growth. It’s one of the only things that the gym bros and the scientists agree on. Use the more intricate, isolation exercises a little bit like a dusting of sugar on a cake. More for decoration and presentation than anything. A big mistake that beginner’s often make is following the same program that their favorite bodybuilder or athlete uses. The issue with that is that your idol has trained for years and is at such a conditioned level that they require much more of an advanced, novel stimulus and more challenging protocol to continue building muscle. As a beginner, full body workouts work well. 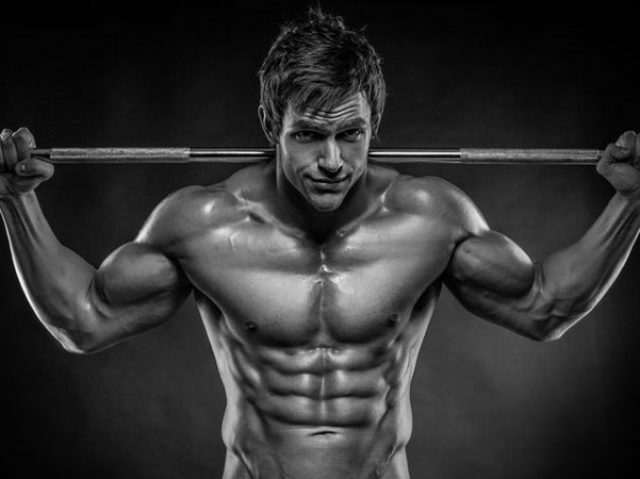 Research shows that when it comes to maximal growth, full body workouts come out on top . So forget what you think might be best and stick with what works. Over the last few years, numerous research papers have shown that if you want to grow muscle fast you need to focus on training volume . To work out your volume for an exercise, you simply multiply the weight you lifted by the number of reps you completed. You then multiply this by the number of sets you performed in total. For example, if you lift 100 kg on the bench press for 4 sets of 8 reps you have a total volume of = 3,200 kg. 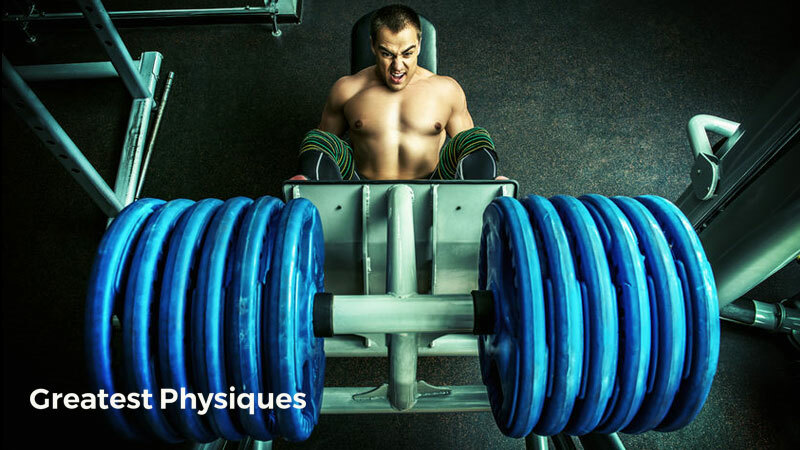 The research suggests that you’ll promote more muscle mass lifting 3,200 kg than you would say 1,300 kg. But each week your goal is to increase your volume. The key to more mass is to lift heavy weights for more reps. By doing so, you create a more potent anabolic hormonal environment, increase protein synthesis rates, and ultimately lay down more muscle cells. If you really want more muscle mass you need to eat the right way. All the training in the world can stimulate muscle growth; but without the right diet you’ll not optimize adaptation. As a beginner, you’ll grow muscle in a calorie deficit. Research shows that you’ll still lay down new muscle cells even if you’re burning off more energy each day than what you’re eating. But to optimize muscle mass you need to achieve a calorie surplus. That way your body has a reservoir of spare energy to tap into. The result of a calorie surplus on muscle growth? 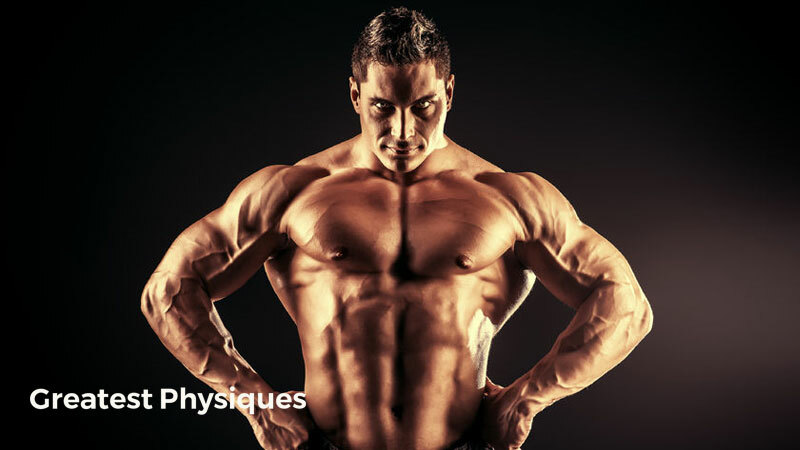 Shooting for a surplus of around 15-20% (for most people that’s 500 calories) will give your body the perfect environment to dial into muscle mass building, while limiting the chances of body fat gain. And eat your protein too. research shows that obtaining sufficient protein in your diet is important for increases in skeletal muscle mass. For example, one study showed that when a group of weightlifters chewed through 1.3-1.8 grams of protein per kilogram of body weight, their levels of lean mass were much better . There’s an old saying that goes like this: “muscles are broken down in the gym, fed in the kitchen and built in bed”. The fact is that without recovery, you really limit your body’s potential to grow in size. When you train with weights you create microscopic tears in your muscle fibers. This happens a result of the tension that passes through each muscle when load or volume is added. It’s a bit like hanging a heavy weight from a rope – little by little it would begin to split each individual strand of the rope itself. Once you leave the gym, your body begins to work hard to build up these torn fibers, making them bigger and stronger in the process (this of course means you get stronger and your muscles get larger). You can accelerate this process by achieving your calorie surplus and eating enough. Sleep is also important as it provides the perfect opportunity to build some new muscle cells. Taking a few days off training every 6-8 weeks or so is important to give your body a prolonged opportunity to restore damaged tissue, recovery from training fatigue and to come back bigger and stronger. It’ll take motivation and willpower to take a week off training after some solid work in the gym for the last few weeks, but it’ll be worth it when you see the results. In this 6-8 week mass building workout we’ve used our collective knowledge of training, coaching and research to devise the very best beginner schedule. For anyone looking to optimize mass, boost strength or just enhance their fitness and conditioning levels, this provides a quick and effective solution. In this full-body schedule you’ll need to hit the gym 3 times per week to see the best results. We’ve factored in everything from exercise selection and order, to load and rep ranges as well as volume. It really is a guaranteed beginner mass builder. The aim is to follow each workout day exactly as it’s presented here. Choose weights that are heavy and take you to fatigue with each set. For example, if one of the exercises asks you to work within a rep range of 10-15 reps, you should not be able to do more than 25. If you can, the weight is too light and your total volume will be lower than what it should be. Remember, we provide the tools, you bring the effort and motivation. Do this for 6-8 weeks consistency and we guarantee you’ll be a different person altogether.